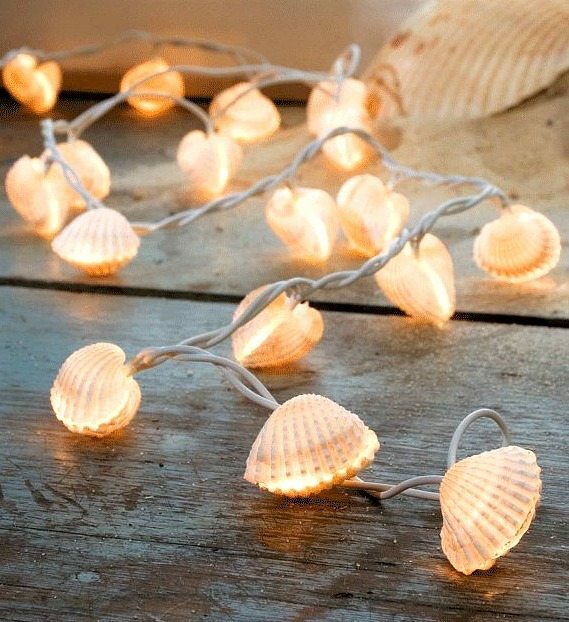 Illuminate your outdoor space with beach string lights and you will hear the gentle roar of ocean waves even if you’re landlocked! 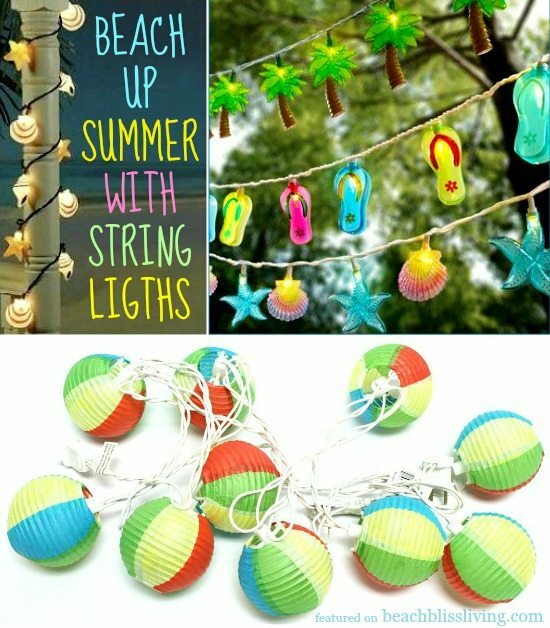 Seashell String Lights and Beach Ball String Lights from Amazon. Palm trees, flip flops and starfish/shell string lights from Party City. And more Flip Flop String Lights from Target. Scallop Shells with White Cord from Amazon, and Scallop Shells with Black Cord from Target. 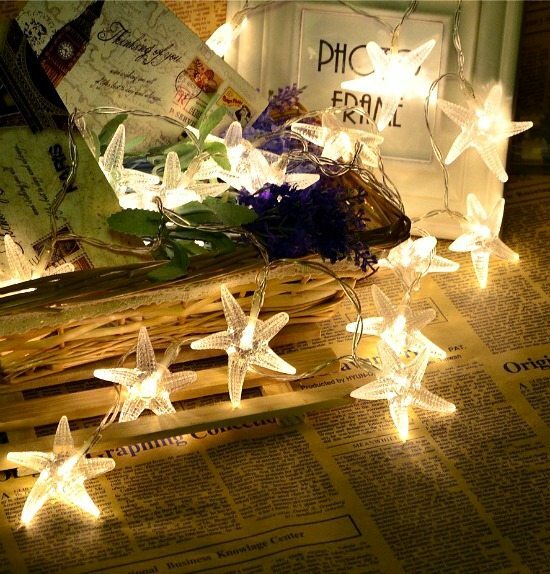 Clear Starfish String Lights from Amazon, and Color Starfish String Lights from Target. And Fishing Glass Float Inspired String Lights from World Market. 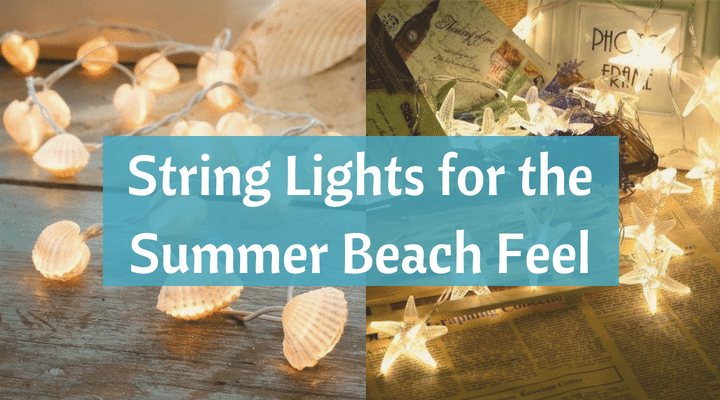 There are so many ways you can create an enchanting outdoor environment with beach string lights. 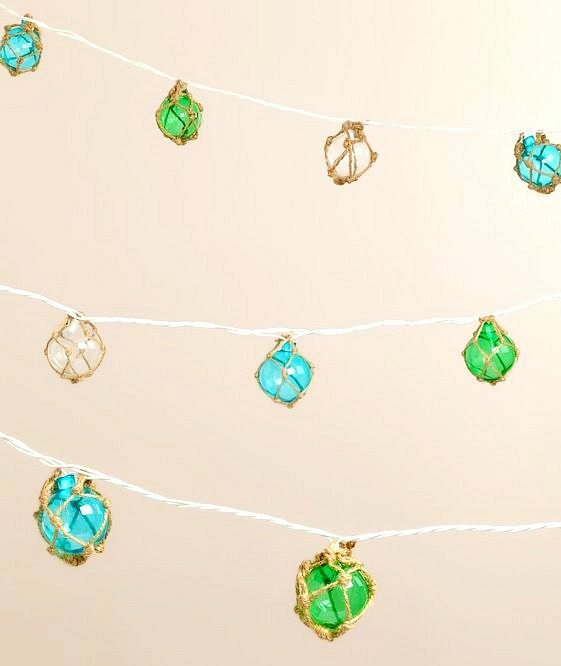 Hang them from the porch, or a sun umbrella, wrap them around a porch column, wind string lights through a trellis, wrap a tree in the yard, or hang beach string lights over a pool. Plus, they are perfect for a Backyard Beach Party! For more ideas how to transform your outdoor space into a beach oasis, click here!